The Aphra Behn Society Graduate Essay Prize is a biennial award made by the Society for the best graduate student paper presented at the ABS Meeting. Papers will be judged on the following criteria: provides clear articulation of the argument, advances critical understanding of the subject, demonstrates an intelligent relationship to secondary resources, and shows adeptness of close reading skills. In addition to special recognition, the prize carries a cash award of $150, as well as the opportunity for publication in our journal, ABO http://scholarcommons.usf.edu/abo/ . 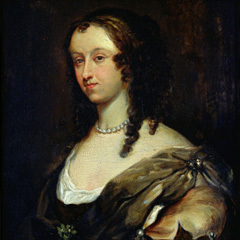 To enter, you must be member of the Aphra Behn Society; for membership information, please visit http://aphrabehn.org/members.htm. The paper you submit for the prize must be an expanded, revised version of the one that you presented at the conference (about 4,000-6,000 words). Papers should be correctly formatted according to MLA documentation style. Submissions must be sent directly to Dr. Aleksondra Hultquist AND Dr. Cynthia Richards. Submissions must be received by January 10, 2016. Please send an attached Word Document or PDF to aleksondra12@gmail.com AND crichards@wittenberg.edu. The winner of the prize will be notified soon after the committee has made its decision and will be announced through the Aphra Behn Society’s Newsletter and listserv.